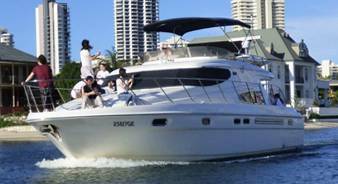 The original and best Gold Coast waterways sightseeing experience! 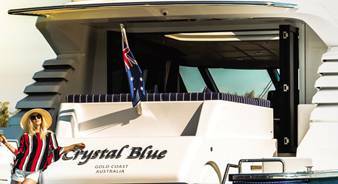 Brand new vessel, Spirit of Elston, is a 16 metre, two level river cruise vessel, with the top deck completely open for uninterrupted viewing. It comes with a capacity of up to 200 people for stand up tapas or the ability to cater for 80 in sit down banquet style buffet. 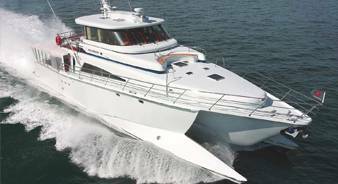 The great service combines with a brand new vessel to make for the ideal venue for any corporate or social function, gathering or party. 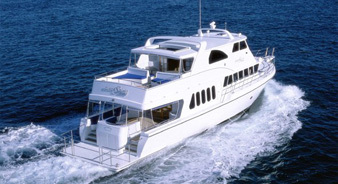 With a spacious upper deck set out with modern-casual decor and a “grass” finish, air-conditioned lower deck with full bar and kitchen facilities, The Spirit of Elston can cater for events of multiple sizes, purposes and occasions. Rates on request depending on the time, period of the year and number of guests .